Hepatitis B is a viral infection which is spread through infected blood and bodily fluids. It is often contracted through sexual activity or blood contact with an infected individual. Hepatitis B is 100 times more infectious than HIV. 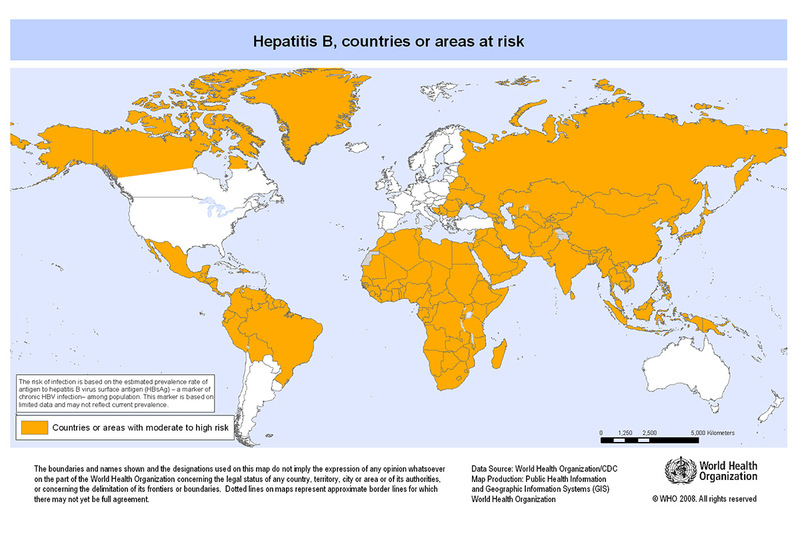 Countries at risk Hepatitis B occurs worldwide but higher risk areas include Asia, Africa, Eastern Europe, South and Central America. The risk to short term travellers is low however the risk of infection is dependent on activities and behavior while travelling. Travellers intending on receiving medical or dental treatment, acupuncture, piercings, and tattoos are at risk. Travellers intending on playing contact sports are also at a higher risk. Individuals who have contracted hepatitis B may get flu like symptoms such as tiredness, general aches and pains, fever and headaches. Hepatitis B can infect the liver which can then cause yellowing of the skin and eyes. The hepatitis B vaccination is a three dose course which as a standard is given over 6 months however can be given as an accelerated course over 1 month with a booster after a year.